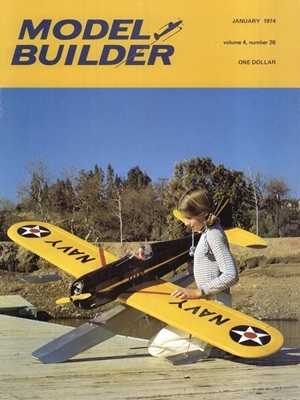 Model Builder January 1974 - RC Bookcase - Vintage Model Airplane Magazines, Catalogs. Over the counter by Bill Northrop. Radio Control Report by Frank Schwartz. 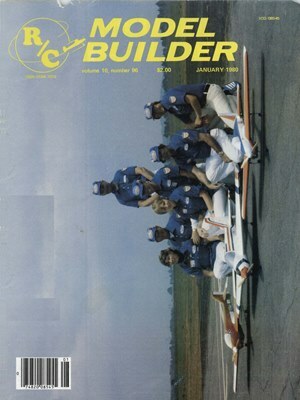 RC Power Boating by Pete Cutler. 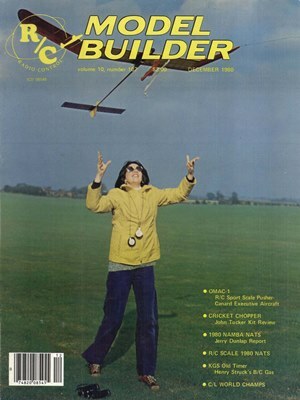 RC Soaring by Le Gray. Chopper Chatter by John Tucker. RC Pylon by Tom Christopher. Control Line by Dale Kirn. FF Scale by Fernando Ramos. Hannans Hangar by Bill Hannan. Free Flight by Bob Stalick. Plus Sparks by John Pond. 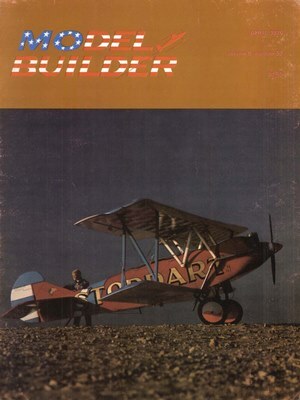 RC Auto News by Chuck Hallum. Douglas Y0-31A0-31B by Peter Westburg. Water Strider by Bob Von Ko&328sky. Peanut Scale DH-6 by Walt Mooney. Brians Bullet by Loren Williams. The Ehling Gas Model by Phil Bernhardt.